The Aboriginal heritage of the Forrest area is not well known, even among long-term residents. 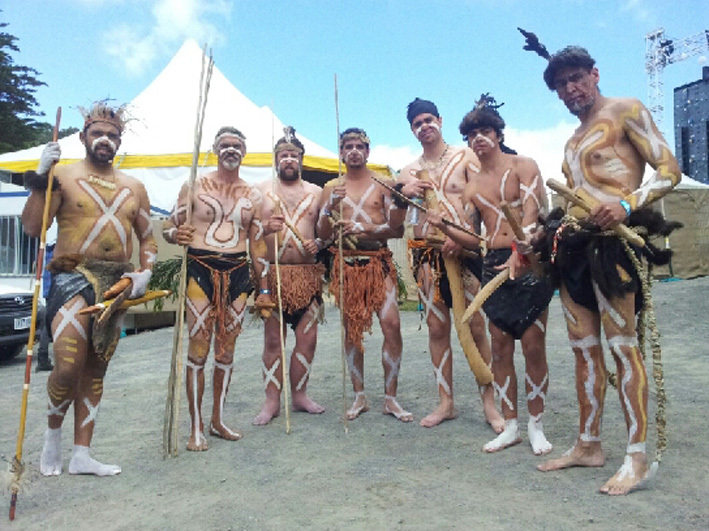 However, people attending a recent Indigenous history event in Forrest learned how Aboriginal people have retained contact with the country and knowledge of traditional culture in this region. Many assume the original inhabitants of this region were completely wiped out with European settlement in the 1830s and 40s. There are many records of massacres, murders and disease reducing numbers drastically in these years, and Aboriginal people were certainly displaced from their traditional homelands and hunting grounds. Despite this, researchers and family historians are finding that some local Aboriginal family groups go back multiple generations in this district. Initially, hundreds of local Aboriginal people sought protection at ‘missions’. Eventually, some worked and lived on the farms of the growing communities. The Bunting Dale Aboriginal Mission located between Birregurra and Forrest from 1839 to 1951 was the first of these. Colac author Heather le Griffon’s book Campfires at the Cross tells the story of the mission in these difficult and often tragic times for Aboriginals. Forrest is near the line drawn between the Otways-coastal Gadubanud (koala to king parrot) language area and the inland Gulidjan country, which stretches from Gellibrand to Colac and Birregurra (place where kangaroo rests). Four known clans lived in the Gulidjan country, each with differing languages. However, boundaries are artificial as the groups intermarried and moved along traditional trading routes and story lines at particular times of the year. The Otway National and Forest Parks contain more than 100 registered Aboriginal heritage places, but this is likely a small percentage of the cultural sites that exist in the region. Richard Collopy, a member of the Kirrae Whurrong men’s group, says Aboriginal people still visit cultural sites and observe tradition, though generally they would not attract attention. He and others are working hard to educate people in languages and customs to ensure these continue.